With only about a month and a half to go, the Cheltenham Festival is not giving the internet a break. For those whose interest in the race revolves around wagering, it is very important that you keep yourself posted on the events as they unfold if at all you are to make the best decision. For all the others, well, waiting for the competition to kick off may be enough but it will do you no harm to be on top of the news. In fact, there is no better way to enjoy the race than developing your own expectations and having the race prove you right or wrong. It doesn’t matter if you will be betting your money to that effect or not. To begin with, the entries for the novice races at the festival have already been released. For the two and a half mile JLT Chase, of the 52 entries, the most significant names to be featured include LostinTranslation who is the Ante-post favorite. His performance last term, especially in Mersey Novices’ Hurdle at the Aintree Festival where he emerged second, is one of the reasons why the horse’s victory is anticipated by most fans. Coupling this with the fact that the seven-year-old beat Defi Du Seuiland in the BetBright Dipper Novices Race that took place on the first day of 2019, his stars are shining way too much for anyone not to expect good performance from him. In addition to Defi Du Seuiland, other horses owned be J.P. MacManus expected to be featured in the race include Le Richebourg and Winter Escape. Of the three, Defi du Seuil is the most promising especially given the fact that he is seeking to prove himself after his campaign last year turned out to be disappointing. Other horses of interest in this race include La Bague Au Roi, Dynamite Dollars, Vinndication, and Kalashnikov. If you have been considering trying your hand at gambling, cheltenham betting will most certainly be a perfect place to start from. 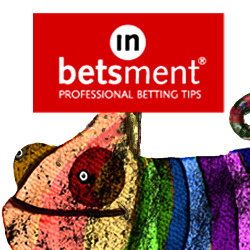 Many betting sites are offering mouth-watering bonuses especially to punters signing up for the first time. For instance, with bet365, for every new account, there is a deposit bonus of 15% going up to $100. The latest betting offers relating to Cheltenham include a trip to Cheltenham and Non-Runner No Bet from “Paddy Power”, tickets to attend the Gold Cup from Betfred and wager £5 and get £30 at BetVictor. BetVictor also has an offer for giving you your money back but you first have to meet certain conditions. If you are looking for a bet to place, it is important not to back the horse with the highest prospects of winning, as the odds given are usually very low. Although these horses are usually more likely to win, they also suffer great losses and for that, wouldn’t it be better to lose money in a bet whose returns would have been higher? Having read that, for the JLT Novices’ Chase it would be advisable to go for Defi du Seuil to win and not LostinTranslation. The odd for this bet in many sites revolves around 10/1. After Saturday, the 26th of January, the next meeting that is scheduled to take place at Cheltenham will be the event itself. There is around £354,000 of prize-money on Saturday’s card. Included in this amount is BetBright Trial Cotswold Chase’s £100,000. Backing up this prize is a Graded heats stack, which is also quite significant in the festival. There also may be the revealing of Racing Post Arkle and Albert Bartlett Novices’ Hurdle clues at Doncaster. Nevertheless, Town Moor highlight on the Sky Bet Chase is expected to provide more pointers for the Randox Grand National. Finally, concerns raised by the Paul and Clare Rooney on the racing course were addressed by leading owners who assured everyone that the course is “first class”.